If you work from home, you know you need smart solutions, since we have so many distractions that reduce our productivity. The design is a very important aspect that influences everything, and that’s why an essential aspect of the home office is lighting! So, today we will give you some lighting ideas for home office. This amazing modern floor lamp was inspired by the 60’s sci-ﬁ aesthetics. Armstrong arc lamp is a true Italian design classic, that will give a minimalistic style to your home office. Inspired by a ﬂower bouquet DelightFULL designed Madeleine. 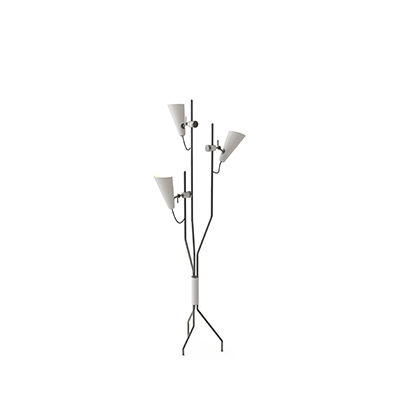 Light, gentle and elegant this suspension ﬁxture adds a French touch to any home office. A vintage piece of art, functional and well structured, Diana is ideal for ofﬁce playful desks. The colored diffuser gives it a charismatic look. Piazzolla wall fixture is a pure 60’s stilnovo design. With 2 aluminum cones, this wall lamp is used in Mad Men’s television series. It has a dynamic and versatile look that can be applied at any home office. Like a precious jewel, Meola is a good decorative element with a discrete size. Perfect on top of a sideboard or console on your home office.